Prayerlessness is powerlessness and a prayerless Christian is a powerless Christian. A prayerless Christian is a backsliding Christian. Backsliding cannot begin the day you stole or committed fornication---No! It started the day you lost your prayer life. The first attack on you is for Satan to steal your prayer life and if he succeeds in stealing your prayer life, then he can come through other things and get over you. Moreover, if you stop praying you start sinning and if you start sinning you stop praying. There is no way you can combine the two together. YOU PRAY, YOU SIN---No, No! ; Just look at our families; many people no longer gathered their family to pray even among Christian families. 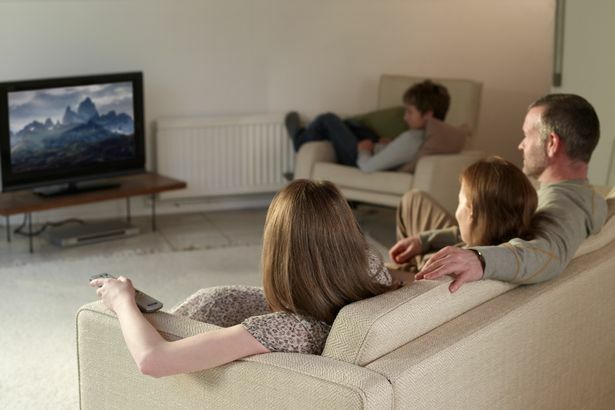 You gathered and the family becomes video-centric. Television and video movies becomes the center of the home, where you can watch movies from part 1, 2 and 3 all at a straight for about 4-6 hours but to pray it become difficult. 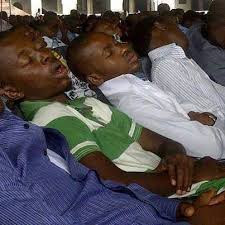 Everybody will sleep, no wonder we have dreams, snakes pursuing us, skeleton and lion pursuing us in the dream. Hence, the security defense of the family altar is devastated. When you don’t have a watchman on the wall of your family, when there is no watchman on the wall of your church that is number one victory for the devil. A prayerless man doesn’t enjoy the continuous presence of God. Look at our churches; you know in every church there are two members. We have what I called, the participant and observer. Let me ask you, who are you in your church; participant or observer? There are some people, when the glory began to move during church fellowship that is the time they will moved out to ease themselves, that very moment the glory is radiating as if the devil is pushing them to get out. Moreover, some of them will get outside but only to removed their head tie and retied-it and come inside. Hence, when a prayerless man is in the church, when the glory of God is moving it will seem as if he is already in Hell. Although am a preacher but let me say this “IT IS EASIER TO PREACH THAN TO PRAY” Someone can stand and preach for 2-3 hours none stop, then ask the same person to pray for 2 hours. It’s also easier to sing than to pray. ALSO READ; How Satan Stops Our Prayers. It’s even easier to hold a committee meeting for 24 hours, day and night than to pray. It’s also easier to run about for God, to run from country to country than to settle down and pray. In fact, carnal Christian can enact all this things but they hate prayer. And a prayerless work is a fruitless work. When you don’t back-up a work, a crusade, a revival or anything with prayer don’t expect any result. 1. Lack Of Spiritual Gift; Moreover, sometimes we often blamed the condition. Let me emphasized the problem we have when we failed to pray. When we failed to pray spiritual gift will not manifest, we will even begin to have an orthodox service in some Pentecostal churches. We will have dryness when we ceased to pray. 2. 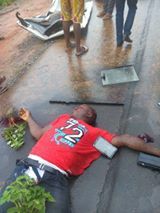 Untimely Death; When we failed to pray we will bury more people we shouldn’t have buried. Do know that prayers can stop certain death. Nehemiah 1:4 “And it came to pass, when I heard these words, that I sat down and wept, and mourned certain days, and fasted, and prayed before the God of heaven, That is reason why Nehemiah wept because the walls of Jerusalem were broken down and God said I have set watchmen upon thy walls, O Jerusalem, which shall never hold their peace day nor night: ye that make mention of the LORD, keep not silence. And give him no rest, till he establish, and till he make Jerusalem a praise in the earth; Isaiah 62:6-7. 3. Ascribing Glory To Satan; When we failed to pray Satan can come and steal people away but when we begin to pray, prayer can stop certain death. When we failed to pray our testimonies will filled with what the devil is doing. Some people will say, “Pastor I have a testimony” then he/she will stood before the congregation and says “Brethren I want to tell you what the devil is doing in my family. I came out in the morning the devil, I wanted to eat the devil, when I went to bath the devil and when I was on my way the devil” They will cried. In fact the one that pierced my heart is that a fellow shepherd (pastor) in the church will joined in the chorus of crying. Why are they crying? Crying because of what the devil is doing to them. ALSO READ; How To Stop Household Wicked Enemies-Operation No Mercy. 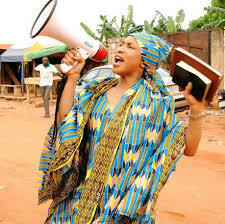 When we returned to prayers and begin to pray our testimonies will give the devil an headache. When the church begins to pray more sick people will be healed. It’s the will of God that our churches will become a healing center. It is only prayer will cause God to plant a spiritual bow-hole in our congregation, so that out of this churches shall flow rivers of power and revival. So people will jumped into this river and be healed and delivered. 4. 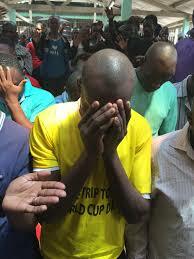 Lack Of Fear Of God; When we failed to pray sinner will not be afraid at Zion. Do you know right now sinners are no more afraid at Zion? A sinner can maneuver us and get baptized and become a full member of the church. A sinner can maneuver us and even goes to theological school. A sinner can maneuver us and be elected as a deacon, elder or a committee member and become an ambassador for Satan in that committee. What am I saying? Just because we are not praying; Oh God, let that day come when sinner comes to altar-call when nobody has called them. 5. Lack Of Repentance Heart; Prayer is a source of repentance heart. When someone will step into the church and the glory will gripe him. Do you know that there are no more tears in churches? Tears are gone and sober reflection messages are no more pricking in some quarters. The bible said Now when they heard this, they were pricked in their heart, and said unto Peter and to the rest of the apostles, Men and brethren, what shall we do?" Act 2:37. When messages no longer prick the heart of people, then the church becomes another cemetery. Let revival come and this revival can only come when we begin to pray. Though, there are some who are praying. But God is saying, “I want a man on the gap, who can pray and seek my face” When we begin to pray sinner will be afraid at Zion. We have a serious problem in our midst today. Do you know that prayer can melt a strong place? It’s only prayer can cause an earthquake in the kingdom of darkness. Those Church politics practice in our churches will not solve our problem. When we resolved to prayer we shall see a glorious manifestation and the glory will comes. When the glory comes, the backslider on our pulpit will either be revived or changed. When revival swipe across the church, unbelieving believer among the gospel artist will either repent or surrender their instrument. When the glory comes back to the church, people who occupied positions in the church but are not broken or revived, people who are sinning and still handling holy things, the bible said, Be ye clean, that bear the vessels of the LORD" Isaiah 52:11b. How many today in our Churches bearing the vessels of the Lord are Holy? Oh God! Where are we? Let the church comes-up and began to pray. Let the spirit of prayers come afresh upon the church because any moment we began to pray the devil will begin to think of going on transfer. Yes, sinner will be afraid at Zion. Do you want to accomplish much work for God? Get into prayer because prayer is an opened ministry. Moreover, someone might say "I don’t know what to do for God" you are a liar. That is a black lie because there are things to do for God. Who told you that you don’t know what to do for God? That is a black lie because there is something to do for God. All church revival comes as a result of prayers. There are some churches that will organize a revival meeting and everybody will eat and sleep waiting for the evangelist with a portfolio full of revival. Yes, on that day the evangelist will come with a portfolio full of revival and while going it will also pack the revival inside the portfolio and go with it. That is why after revival there is no revival that remains. But show me a church that will stage a program and the church will begin to swim in the ocean of prayer, definitely before the evangelist comes the revival will begin and as the evangelist goes he can’t go with the revival. Prayer has no substitute. Money cannot take the place of prayer. Inasmuch we need Naira and Dollar millionaires in the church we also need prayer millionaires. Howbeit, victory on the pulpit is not gotten by opening prayer before the sermon. There was a man called Duncan, after a powerful message people came to him and asked him what his secret? He replied, “13 hours of consecutive prayers” Do you know our problem? Many of the preachers are too busy to settle down and pray. They can go from one meeting to another, flying from one country to another without much interest in seeking the face of the Lord in prayers. In this age for clamoring for degree, Theology without Neology will end in ethnology but when we begin to pray, prayer will released the supernatural. The degree can never take the place of power and revival, let get back to the school of neology. There is a gallant call today for every Christian to usher into prayer. Let that day come back when musician got their song on their praying knee. Right now, some gospel musicians can bring-up certain nonsensical-nonsense pieces of tunes; they will bring beans and rice into their songs lyrics, singing rubbish. Hence, let that day come when gospel musician will be at the praying mountain seeking for the face of the Lord and God will give them a songs. That songs that God give you sing it anywhere and certainly the glory will move. You are a chorister, when did you sing last and someone received Holy Ghost in the congregation? When did you sing last and the glory took over the church? Now, we are mostly interested in technical-ism of the song while the spiritualism is lacking. I mean, how will it not happen? After choir practice we closed with gossip meeting. How can God move? When have we devoted time to pray? Honestly, majorities are not praying and that is why the devil is working overtime. The devil has bribed the church not to pray. 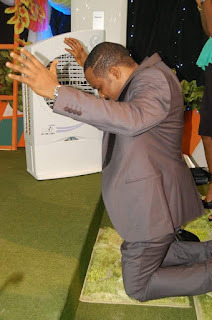 But I can still hear the Holy Ghost saying “Wanted, wanted, wanted, a praying Christian that will bring down the glory of God” Moreover, there is no way of bringing down the glory of God except prayer. 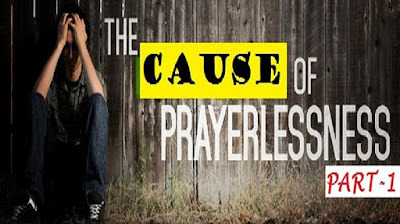 ALSO READ: The Cause OF Prayerlessness In The Life Of Christian Part 2. Today, there is dryness, powerlessness and wretchedness in the church due to prayerlessness. In fact, some have lost their former glory. Do know that the new name of some Christian is Ichabod “The glory has departed" They are managing but the main glory has departed. Ezekiel says “I saw the glory of God moving out through the window” Ezekiel 10:18 Then the glory of the LORD departed from off the threshold of the house, and stood over the cherubims" To some people their glory has departed due to prayerlessness. I pray that God will revived our prayer life on this last day so that the church can usher into the new way we are expecting in Jesus name. 1 Response to "The Cause OF Prayerlessness In The Life Of Christian Part-1"